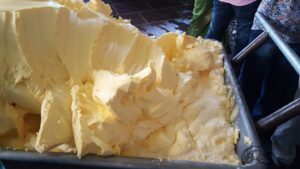 The department of life sciences visited kolar dairy on 6th January 2017. Number of students was around 60 B.Sc students accompanied by the 5 faculty members. 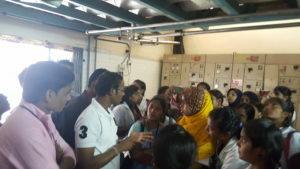 All the students were taken to plant visit and they were explained regarding the processes of manufacturing sachet milk and milk products. 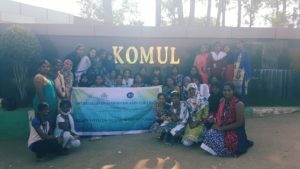 After this they briefed about the total activities of the komul dairy kolar. They provided relevant and useful information. 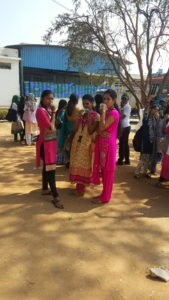 The students during the visit showed keen interest and enthusiasm. This entry was posted in Campus drives, Dept of Life Science, Science on January 7, 2017 by sbmjcPRO.